Chronic pain is growing all over the U.S. According to the National Institute of Health in 2015, An estimated 23.4 million adults or 10.3% experience a lot of pain on a constant basis. The NIH says, “Pain affects more Americans than diabetes, heart disease and cancer combined.” God knows our more sedentary, high-stress lifestyles are only making matters worse. Prescription painkillers work well at quelling our pain, but they are not intended for long-term use. Now, we are not saying conventional treatments and prescription drugs don’t have their place when it comes to treating chronic pain. What we are saying is that for those who need an alternative or even a complement to their pain treatment plan, we have some ideas! 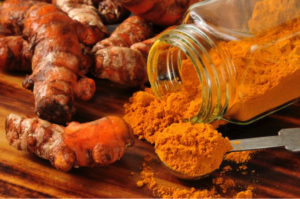 Herbs like ginger, turmeric and capsaicin are touted for their pain-relieving, anti-inflammatory properties. They make a wonderful addition to most recipes and can even be combined with coconut oil into a salve to be applied directly to sore muscles. Magnesium is the vitamin that makes muscles relax. So, it’s no surprise that would have a pain-relieving effect. But did you know it decreases never pain too? Many holistic doctors prescribe an IV full of it to treat acute migraines, fibromyalgia, and more. Magnesium deficiency is incredibly common (roughly ¾ of Americans are deficient) and this deficiency can actually amplify pain. Try supplementing your diet with magnesium today. Better yet, find it in natural sources such as pumpkin seeds, beans, whole wheat bread, brown rice and dark leafy greens. Essential oils like lavender and chamomile are great when directly applied to sore muscles. Put a little in your oil diffuser for stress relief, too! After all, stress is a big contributor to pain. Frankincense and peppermint are long touted to provide relief for migraine-sufferers. Peppermint can be applied directly to the back of your neck and frankincense to your temples. A product of the flower Arnica Montana, arnica gel is another pain management alternative to prescription painkillers. Researchers at Berkeley state, “Arnica has shown antimicrobial, anti-inflammatory, and pain-relieving properties in many lab and animal studies.” Applied topically, arnica has been shown to provide relief for muscle and joint pain. Low-level laser therapy or low-level light therapy (LLLT) is a process that triggers biochemical changes in cells, much like photosynthesis does in plants (NIH, 2015). These changes to cells often result in reduced inflammation, increased endorphin levels, blocked neurons responsible for the sensation of pain and more. Read here about how LLLT can help reduce your pain even further. The point we are trying to drive home is that there are many avenues you can take to mitigate your chronic pain. As specialists in low-level light therapy, we see patients transformed for the better every day. If you’re near Durango, please consider scheduling a visit with us.